An unfair accusations of domestic violence can be degrading and insulting. A spouse or family member who is angry or wants to end a relationship may accuse another family member of domestic violence through a domestic violence injunction. A domestic violence injunction is extremely serious and must be dealt with in an immediate and competent manner. Boca Raton domestic violence injunction defense attorney Matthew D. Martin can help you fight wrongful accusations of domestic violence. Have you been served with a domestic violence injunction? Domestic violence is any threat or actual touching, in any manner, or any other criminal offense that causes physical injury or death to a spouse, former spouse or a member of your family or household. Boca Raton family law attorney Matthew D. Martin handles divorce, child custody, and time sharing issues while aggressively defending your dignity. You cannot afford to wait to see what happens with domestic abuse accusations and the result of domestic violence injunctions. Boca Raton domestic violence defense attorney Matthew D. Martin offers free consultations where you can discuss the specifics of your case and help protect yourself from the ramifications of a domestic violence injunction. How serious are accusations of domestic violence? The ramifications of a domestic abuse conviction are extremely serious and potentially life changing. You could spend time in jail, pay fines, or be made to attend mandatory counseling. In addition, an adverse domestic violence ruling against you could affect your child visitation and custody rights and your living situation. It is imperative that you have a knowledgeable and aggressive attorney on your side after such a serious accusation has been made. Boca Raton domestic violence defense attorney Matthew D. Martin has experience defending domestic abuse cases and will uncompromisingly pursue a positive ruling in your favor. No family law or domestic violence case is ever predictable or certain. 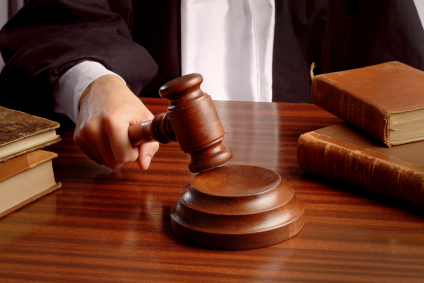 Because of this uncertainty, you need a skilled and diligent attorney on your side. Call Boca Raton family law attorney attorney Matthew D. Martin today at (888)-984-6487 for a free consultation to see how our firm can assist you in defending against a domestic violence injunction.